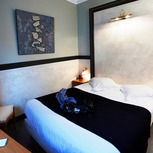 Hotel du Palais is a charming establishment with an ideal location in the heart of Marseille. 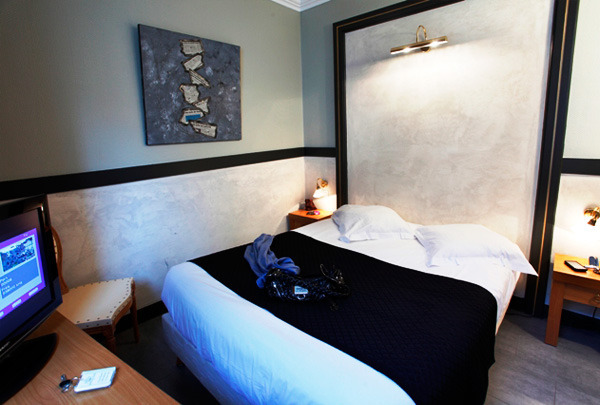 Completely renovated, its ambience and decor are faithful to the spirit of a "Mansion" where you will receive a warm welcome . 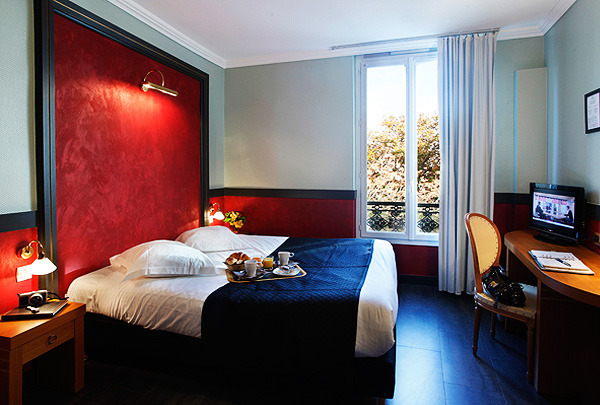 Located 5 minutes walk from the Vieux Port of Marseille, the Hotel du Palais is a haven of peace, offering personalized service in a quiet and friendly atmosphere. Quietness: 7.5 Cloisons un peu "fines"
Negative: Il n'y avait pas d'eau chaude et il y avait beaucoup de bruit. Negative: nous avons eu de l'eau froide le dimanche matin, un SCANDALE !!!!!!!!! Negative: Total lack of air-conditioning when the hotel said it had it! The unit in our room appeared to be a dusty facade that had never worked. Very disappointed in this during a hot June. Common facilities and services: 7.5 Breakfast was decent and in a nice enough area. Staff: 7.5 Overall better than good. Very sweet. Quietness: Not rated Because to compensate for no air-con we had to sleep with windows open. Room: 2.5 Dark and hot. No air-con, broken shower head and only 4 TV channels. Very unimpressive amenities. Staff: 5 obséquieux, trop de temps sur lm'ordinateur, pourquoi souhaiter la bienvenue à chaque fois qu'on voit quelqu'un ?